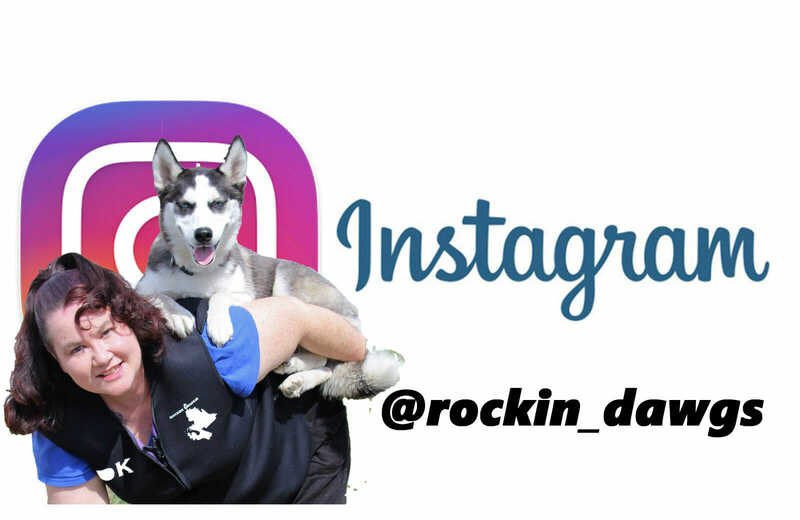 Join Rockin’ Dawgs LIVE on Instagram’s IGTV for training tips and tricks! So I know I am horrible at updating our blog posts on the website and it has been a short lifetime since I last posted (I will try to do better in the future), but I have to share some new and exciting news with you all! Beginning in the next few weeks, through the magic of social media, we will be taking advantage of the new IGTV on Instagram! The new Instagram format allows us to do up to an hour of LIVE video with you all! While we will of course continue to post pictures of the daily antics of our trick and stunt dogs and the happenings at the Rockin’ Dawgs training facility, we will now be able to start live video feeds that you can all be a part of. Some days we will film instructional videos and other days we will have open Q&A sessions with the trainer. The format allows us to also connect with you during the live sessions so you can show us your dog during the live feed if you want to share them or what you are working on with us all! We are super excited about this at Rockin’ Dawgs because it allows us to connect so much more with our clients, those new to dog training and really any body who wants to learn tips and tricks to help build better relationships with their dog. The fun is going to get started real soon!! News & Events dog training, force-free, IGTV, instagram, positive reinforcement, trainer, trick training. permalink.